Join Debony Salon on April 3rd at the Liberty Hotel in Boston as it defends its winning title in the AVEDA “Catwalks for Water” fashion show. Presenting their technical skills in hair, make-up and fashion, the salon will compete against other salons throughout the country for Best Overall, Best in Costume, Best in Hair and Best in Make-up. Tickets to the fashion show are $25.00 and all proceeds benefit the Clean Water Fund. All are welcome to attend this fashion-forward evening in the historic Liberty Hotel on Charles Street and Debony Salon invites its community to be a part of the fun. For more information or to purchase your tickets, call the AVEDA Education Institute at 1.800.283.3244. Pictured here is salon cosmetologist, Sarah Jette as an “Earth Warrior” with hair, make-up and costuming all created by staff of the salon. Warrior” concept and helped to raise over $11,000.00 for the Clean Water Fund. This year, the staff of the salon are coming together to create a new and exciting concept to present in April. 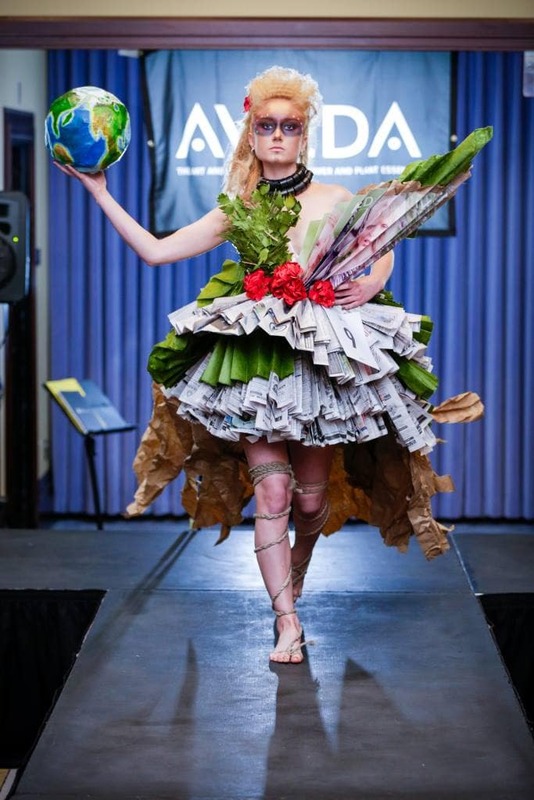 Details are being kept under wraps, but the salon promises an edgy and daring artistic representation of the ecological and social issues facing the world today. The mission of the Clean Water Fund is to develop strong grassroots environmental leadership for cleaner and safer water, cleaner air, and protection from toxic pollution in homes, neighborhoods and workplaces. The Clean Water Fund’s programs build on and complement those of Clean Water Action, which has helped develop, pass, strengthen and defend the nation’s major water and toxics laws such as the Clean Water Act, Safe Drinking Water Act and others. Debony Salon is a full-service boutique salon and spa, located in Jackson, NH. Offering wedding services, massage, facials, hair cut and color services, nail care and more, Debony Salon offers years of experience to help you feel and look your best. Like them on Facebook for promotions, events and sales or to book an appointment call 603-383-9366. To purchase a “Catwalk for Clean Water” ticket, call 1.800.283.3244. Photo Excerpt: Debony Salon invites the community to join them as they defend their winning title in the 2016 AVEDA “Catwalk for Clean Water” on April 3rd at the Liberty Hotel in Boston. Pictured here is salon cosmetologist, Sarah Jette as an “Earth Warrior” with hair, make-up and costuming all created by staff of the salon. For more information, contact the salon at 603-383-9366.